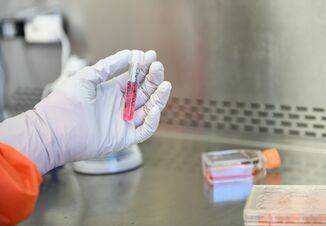 A University of Florida Institute of Food and Agricultural Sciences researcher and his colleagues are far more certain now that a new biological treatment could prevent dairy cattle from getting uterine diseases, which might improve food safety for people. That's because Kwang Cheol "KC" Jeong, an assistant professor in the UF/IFAS animal sciences department and Klibs Galvao, an associate professor in the UF College of Veterinary Medicine, and their team conducted their experiments in the lab the first time. This time, they went into the field. 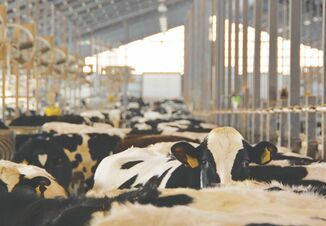 Jeong, who's also affiliated with UF's Emerging Pathogens Institute, studied uterine illnesses because they can make cows infertile, lower milk production and because those maladies are often linked to bacteria. 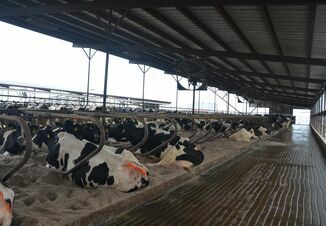 For a newly published study, Jeong and Galvao conducted their research at Alliance Dairy, a commercial farm in Gilchrist County, about 30 miles west of Gainesville, where they infused chitosan microparticles - an antimicrobial material made of dissolved shrimp shells - into diseased cow uteri. They found that chitosan decreased multiple pathogenic bacteria, including Fusoscobacteria necrophorum, in the uterus and therefore, cured metritis, an inflammation in the uterus. Jeong's latest study investigates further some conclusions he reached in a study he published in 2014. "We did follow-up experiments in animals to cure disease, which is very important," Jeong said. "It's a critical advance because most lab data are not repeated in real-world situations. However, our work showed that chitosan micro-particles can be translated into clinical treatment for animals and even for humans." When bought in stores, chitosan can be used to treat many ailments, from obesity to anemia. On its own, chitosan only works at acidic pH levels, Jeong said. For cattle, Jeong's team developed chitosan microparticles, which work in acidic and neutral pH, because cattle uteri have a neutral pH. The latest study's findings suggest chitosan microparticles kill bacteria in the uteri, he said. Jeong said it may someday be possible for chitosan microparticles to be used to help humans who have become ill from consuming E. coli-contaminated food, but more research is needed. Once bacteria become resistant, whether on farms, hospitals or in the environment, they can infect humans, through water, food or contact with contaminated feces, Jeong said. Further, some antibiotics used to treat humans and animals kill good and bad bacteria. Scientists can use the UF study's findings to begin to develop better drugs that target bad pathogens but leave beneficial bacteria, Jeong said. The new study is published in the journal Biomaterials.